Send A Message To Fiona. A number of things can affect our emotional health - disruption in routines due to stress, life transitions, unexpected events such as personal tragedies or injuries, and concerns with our general mental health, emotional well-being and functioning. Fiona understands the growing need for early intervention, effective treatment and timely access for children, youth, young adults and adults whom are struggling with their mental health and emotional well-being. Fiona provides counselling services for children, youth, young adults and their families utilizing a variety of specialized treatment modalities/therapies, for a range of issues, relationship difficulties and mental health concerns. Also offered are comprehensive mental health assessments, and support in navigating mental health services locally when necessary. Fiona emigrated from the U.K with her family to Kelowna in 2007. She has worked within various mental health settings with individuals and families for 18 years, both in the United Kingdom and Canada such as on child and adolescent in-patient psychiatric units, adult and youth community mental health teams as a counsellor and intake worker, youth substance counsellor and as an eating disorder clinician for youth and adults. She qualified as nurse in the U.K in 2000, graduating from the University of Central England, Birmingham and is a both a Registered Nurse (RN) and Registered Psychiatric Nurse (RPN) in B.C. 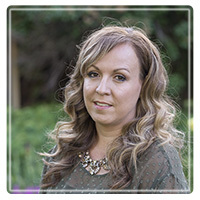 She also has a Master of Science (MSc) Degree in Marriage and Family Therapy/Counselling, is a Registered Clinical Counsellor (RCC) with the British Columbia Association of Clinical Counsellors, and a member of the Canadian Counselling and Psychotherapy Association. Her experience includes providing individual counselling for mental health and relationship issues to individuals and families for a wide range of concerns, co-facilitating therapy and psycho-educational groups, and providing tailored interventions that effectively integrate a range of psychotherapeutic approaches, such as Systemic Therapy , Solution Focused Therapy (SFT), Cognitive Behavioural Therapy (CBT) and Dialectical Behaviour Therapy (DBT). Fiona believes working with children, youth, young adults and their families requires specialist expertise and that her education and 18 years of experience of working with children and youth and adults in multiple settings, has allowed for her to develop these necessary skills. Fiona works from a systemic perspective and has extensive training and experience in both individual and family counselling.